Ever since WhatsApp has been launched a million of people have downloaded it and are currently using the application. It has been an effective chat service of a billion people worldwide and has certainly helped a lot of people. WhatsApp is definitely a top priority application to download if you are looking forward to a professional chat service. It is by far one of the most professional chat services which you can use to send voice messages, video calls as well as text messages. However, if you have many groups in WhatsApp or even feel offended to use it, you might feel to delete your WhatsApp account permanently. There are many people who rarely use WhatsApp and also do not envy in the service much. They all might be thinking on how can they nuke their account or even get a permanent relief from it. This is completely an individual choice by which one can get the best out of Whatsapp Services or even can choose not to use it at all. If you are suffering from overloaded information or even chats in which you are not interested much, you might opt to delete the Whatsapp account. However, the big question is could you remove the WhatsApp account permanently? The answer to their question is simply yes, but in order to get this done, you need to follow a few steps. In this tutorial, we will provide you a step by step guide that will help you to delete your account permanently. We shall also inform you more about what happens to the data after the account gets deleted. Is it totally lost or in fact it is regained when you try to reactivate the account again. But before we step forward in order to delete the WhatsApp account, you just get one thing to be very clear. The first thing is to know that there is always a backup possible even if you delete the WhatsApp account and the next thing is that you need to personally deactivate the account because the support of WhatsApp Team is not able to delete the account for you. What Does Delete My WhatsApp Account Do? Deleting the WhatsApp account is not a tough thing at all, but before you step up to deactivate the account, you must get the after effects to be obvious. You must understand the consequences of deleting WhatsApp account permanently and what are the benefits from the service you would be denied. Well, here are the primary things which might happen once you deactivate the WhatsApp account. Your friends and relatives in WhatsApp will not be able to find you in the service or even send you messages through Whatsapp. You get instantly removed from all the groups in WhatsApp. All the chats and media are instantly erased in the app which means you have partially lost the images. The service payment information is removed from the servers. However, always try to keep one thing in mind that you can easily reactivate your account at any time of the day even when it is deleted. You can easily do this by re-registering the mobile number or some other number. Thus if you wish to restore the messages for future or if you wish to get back to WhatsApp in the future, all that you need to do is simply to create a backup for it. This will help you a lot to easily get back all the lost chats and media after you restore. At certain point of time, you might need an expertise chat service to get social or even to connect back to your friends. People, who have used WhatsApp before and have liked the services, might be willing back to install it again and get the best results. However, if you have already deleted your WhatsApp account, it means that you have already lost all the chats and the media. Thus, it is very important for you to create a backup of the chat history as well as the media before you delete the App. Creating a backup of your account is indeed very necessary and you can also create an automatic Backup with the help of your Backup frequency. You can simply go to WhatsApp Settings and then to Chats and Calls where you might find many options. Now, you can simply choose Chat Backup option where you can find Backup Now option. Just activate it and change the frequency to something better to provide you the best options. You shall now be able to restore from the WhatsApp backup because it will allow you to get the data back once you are confined to restore the account. All that you need to do is to enter the registered mobile number and then sign in back to your account. This will help you a lot to find the deleted messages as well as media. However, remember one thing that to conduct a successful backup, you need to have enough free space on your device. You can check the free space required in the Application itself and tally it with the space left in your phone. If you have deleted the application from your device, all that you need to do is to Install the application back to the phone and then follow a few steps. Step 1: The first thing that you need to do is to launch the WhatsApp Application back on your device. Step 2: Now, you need to follow all the instructions that are turning up on-screen and are in order to help you. Simply enter your registered mobile number and you shall receive a six digit verification code on the registered mobile number via an SMS in order to activate the account. This will help you a lot to get reactivate your account. Step 3: Just enter the verification code correctly and then you shall find that the account is restored. How to Restore the Chats from WhatsApp? It is very evident that when you reactivate your WhatsApp account with the previously registered number, you can easily restore the chats and media from Whatsapp backup. Follow the steps to know more. Step 1:Launch the WhatsApp application from your phone and then enter the registered mobile number. This will help you to backup the device and then restore it. Step 2:Complete the verification process by entering the six digit verification code that is sent to your phone. This will help you to get back the chat history and all the media files which are already deleted. Over the past few years, WhatsApp has been one of the top rated chat services which a lot of the people have offered. However, there are a lot of people who are not fascinated by the services of WhatsApp and have not bothered to use it any more. 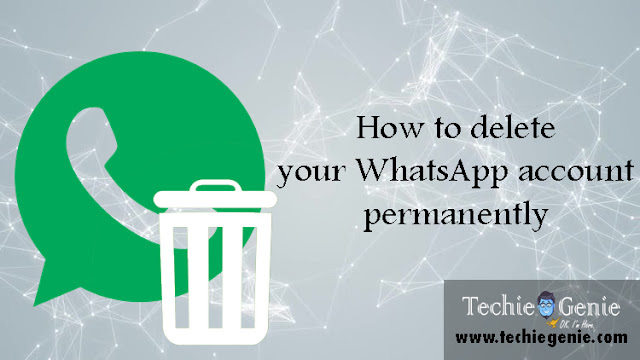 Here is a tutorial for you to follow and then delete the WhatsApp permanently. This will help you to get permanently deactivated from WhatsApp, but it also lets you to download the restore and backup options now. Here is a tutorial you can easily follow. Step 1:The first step that you need to do is to launch the application on your device. Make sure that you are connected with the internet. However, remember that if you delete the WhatsApp account now, you shall delete many data from it as well. The name from the friends groups, the chats and all the media files that were sent to you and also the message history. This is indeed one of the best things that you can get while you are about to delete the WhatsApp account. Step 2: Now all that you need to do is to tap on the settings option within the application. In Android phones, you can easily find the settings menu in the top corner of the phone, while in iPhone; you can find it in the lower right corner. You now need to click on this settings option and wait for the next set of instructions which are going to come. Step 3:The next thing that you need to do is to tap the account option in the Settings menu. You might find it nearly to the top of the menu. Even if you do not wish to delete your account, you can find many other account based settings from here. Step 4:Look a little more in the Account option and you shall find Delete My account option to get the better results. It is in the last selection of the menu. However, look a little more in the menu option where you may find more about the account based informations. Step 5:The next thing that you need to do is to select the country where you stay. This is because the registered mobile number and their ISD codes might be different for every country. Select your country accordingly with the help of scrolling the options accordingly. 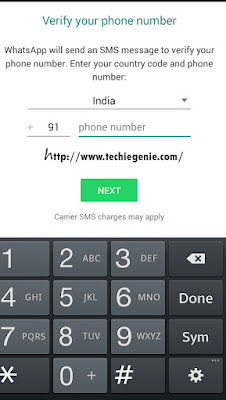 You can now tap on the country associated with the mobile number. The lists of the countries are arranged according to the alphabetical order that will help you more. Step 6:Once you have selected the country, you can easily find the ISD code adjusted accordingly. You can now enter the registered mobile number for verification. Type it in the field below the drop down. Step 7:You can now easily tap on Delete My Account Option which you can easily enter in the number field. Now, if you wish to leave a feedback, you can easily give one. However, this is certainly optional. You can now tap it in the upper right corner of the Feedback Screen in order to get the next screen. Step 8:Once all the steps are done, you can now easily tap on delete my account at the bottom of the screen and then go forward to the next steps. This will help you a lot. This also deletes the WhatsApp account and also all the relevant data which you wish to submit. Step 1:The first thing that you need to do is to tap on the home screen of your Device. However, if you do not find the WhatsApp application on your Home Screen, you can easily find the application on the Application Manager and then move forward in the next step. Step 2:You can easily tap in the Whatsapp Application and hold it for a few seconds. However, if you are in the Application Manager, you can easily find the option to delete the account. This will help you a lot to delete selected apps from where you can delete the application. Step 3:You can now get the better option to delete the application quickly. Once you click on the delete option, just confirm the action and try to uninstall the application. You can drag the app to the trash and then remove it permanently. Step 4:Once you have deleted the application, just click on the home screen and you shall not find the application! The best part is the application is no longer installed in your phone and you do not have to delete it again and again. If you wish to delete the WhatsApp account from your device, all that you need to do is simply to follow the steps from the tutorial. This will help you a lot to delete the account easily and then continue. Now, the best part of all is that you can easily create a restore and backup in your phone in order to get better results. Simply follow the instructions and you can easily delete the Whatsapp Application and then again install it back again.